Without focus, everything is blurred. Nothing is clear, and nothing worthwhile develops. Too often I am guilty of somehow trying to be two (or more) places at once. I am at home while thinking about what I need to do for work. I am at work thinking about how I should have left for home already. I am at the gym sweating and gasping for breath thinking about how soon I will be able to rest. And when you’re only half-way up, you’re neither up nor down. Focus, on the other hand, is so much more effective AND enjoyable. 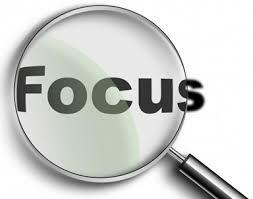 It is effective because focus facilitates the full investment of my affections and attention. All of me is in the now. I am much better when all of me is there. I’m a better husband and father when I am “fully present” for my wife and kids. I am a more thorough scholar and speaker when I am fully vested into progression of thought and word. It’s true even for the time I invest in private prayer. I’ve often thought that the “more time” I set aside for prayer or meditation would produce greater results in my life. But if I just mutter out prayer while keeping an eye on the clock – I’m neither up nor down. I’m not doing heaven or earth much good that way. But prayer that is fully aware of His presence, and that embraces Him fully – makes the ticks of a clock irrelevant. Finally, being “fully present” is the most divine way of living. Jesus was fully present with people. Whoever was right in front of Jesus had his fullest affection and attention. Though Jairus’ daughter lay dying, Jesus still paused for the woman in the crowd who touched him. Neither of them received a partial Jesus. The Holy Spirit is fully present in this moment; all the attributes and power and promises of heaven are breathing into this moment. “Now” is too precious, too sacred, and too powerful to waste by forfeiting it in anticipation of “next.” Now is the right time to be all here. This moment deserves and requires my focus. Jim Elliot, the missionary martyr, famously said, “Wherever you are, be all there.” Thanks for the reminder, Adam. Thanks for reading; I hope to have encouraged you today. 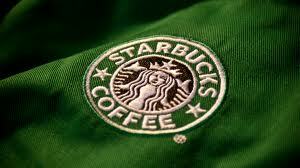 I love to go to Starbucks. I particularly enjoy my gold card by which I enjoy free refills of my Trenta-sized (what a fantastic idea!) iced tea. Beside my delight in the all-too-soon consumed beverage there, I am fascinated by a principle I observe behind their counters. And, I resolve to not live by it. Each person behind the counter at Starbucks has an apron. Some are green, some are black – I don’t know what that means, if it’s like the shirts on Star Trek or what – but they all wear aprons. And when those people, most of whom I have never met and never actually see in the real world, wear those aprons – they are the most fantastic people in the world. I can walk up and be totally confused and stare at a menu and they happily ask how they might help. If I’m not ready, no big deal! Just let them know. When I order (or my wife or her sister order) some crazy drink that takes up a whole sentence to describe (including verbs, adjectives and abbreviations) they smile happily as if to welcome such nonsense – like they were waiting for my odd order. Even better, when I purchase the afore mentioned Trenta-sized (what a great idea!) iced tea, and use my phone to scan the payment, they hand me a delicious cup of nirvana that I promptly drink faster than that Nesquik Bunny. Then, with haste, I return to the counter and present my empty cup to an aproned person who quite happily refills my tea. I can do this as long as I am in the store. It nearly justifies the price I paid for boiled leaves and water. What marvelous persons inside those aprons. But, what do you think would happen if I shoved my cup toward one of those persons after they removed their aprons? Methinks they might possibly suggest where else I might shove my cup. Why? Because, it is just an apron. The apron connotes an external, temporary, certain-times-only role. And while I respect that principle at Starbucks, I reject it for my Christianity. In Ephesians 4:1, Paul urges his audience to “walk” worthy of the calling they have received. It is significant that he uses the word “walk.” It denotes our whole manner of life: everything we are, everywhere we go, all that we say and do. Paul is not talking about certain or special times; he is talking about all the time. We are to practice, to express the grace we have received with every decision and detail of our lives. We are to walk like we really believe all that God has done in and for us in Christ – to live like we believe it’s true. We can be consistently confident in our identity, purpose, and anointing in Christ. And we can demonstrate this calling one step at a time, with every step we take. Because, thankfully, it’s not just an apron. Cheers! 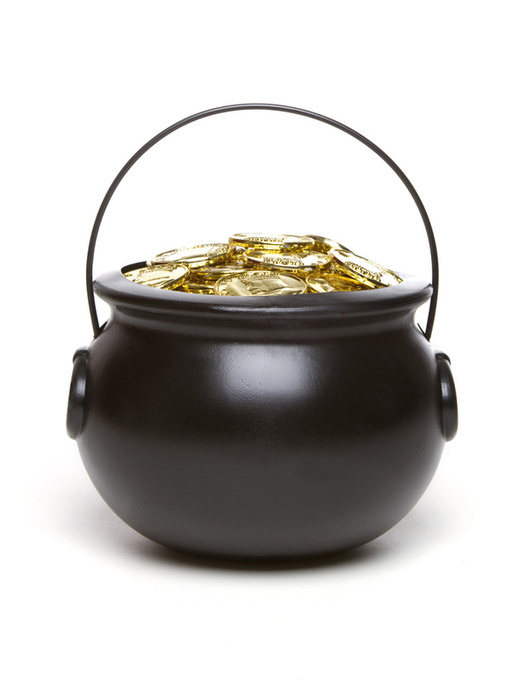 I’m off to enjoy some tea. And, thanks for reading.